In search of a lost avenue, I cut off from the daily grind in the month of October. Yes, now you know. No, not a drastic renunciation. It was more of tiny, subtle changes. I took a Blog Break, for one. I did not write for a month. Sounds crazy? Well, yes it was! It was like not having my coffee cuppa every morning. But I brewed on the ideas that were stirring in my head. The aroma of the thoughts that I wanted to retain lingered on. The rest, I dumped like the coffee powder residue. Felt refreshing. 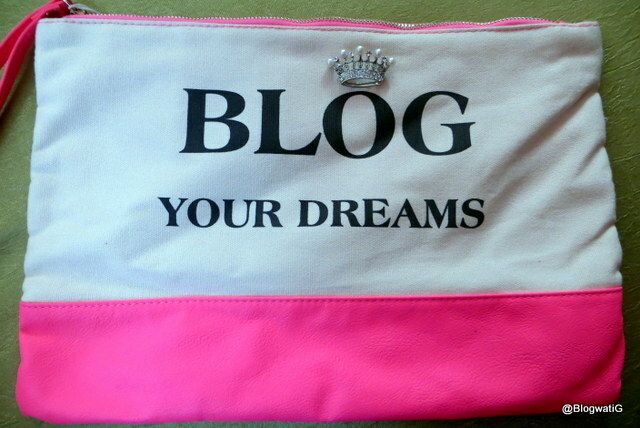 And today as I return, the voice in my head tells me, ‘Blog Your Dreams’. I think I will! September is stock taking month for me, ever since it changed my life, seven years ago. All it took was a split second that changed the direction I was headed in. Nothing was the same and yet, I was stuck in a time warp. Something that I would realize only a few years down the line. Death changes perspective like no other. The person you once knew becomes a ‘body’ almost instantaneously. You find the warm embrace that you came home to, begin to stiffen as the clock ticks by. Your mind has shut the outer world, as you cruise in auto pilot mode. There are things to be done. Rituals to be followed. Life to be lived. Because death truly, is your singular, most tragic performance that has the audience in an emotional outburst. And the irony is, you don’t live to see it! And then it happened. I saw him. He was in his Sunday best, smiling, and his usual exuberant self. I couldn’t believe it. He was just a heartbeat away. I rushed to him with a zillion questions and complaints. How could he do this to us? Where was he all this time? Why did he have to go like this? I couldn’t follow his footsteps anymore. He had to take it from here. Why wasn’t he saying something? If he’d been here all along, why didn’t he say so? He simply smiled. And I awoke. This has been a recurring dream every time I’ve had a life changing decision to make. My dad visits me from the other side. The settings change but the dream sequence and my reactions are consistent. Over the years I have learnt that it almost is like an assurance that he is happy wherever he is. For the last words that I heard before he went forever were “I am happy, thank you.” This dream brings me comfort. And I think to myself, such simplicity is what I would love to leave behind as a memory. Not an autumn leaf but a spring of hope, always. And that is when it hit me. Spring will have to be followed by autumn, it was only natural. Likewise, a halo of happiness will cast a shadow somewhere. I realized if we were in a constant space of ‘happiness’, Botox would never have been invented. Did this happen because I took a month off? No, not at all. It was there all along. It just came to the fore for I stopped to take stock. We have a pathway we intend to travel. When we assimilate too much information, we get lost. It is like looking at the GPS and the Road Map at the same time and losing out on the evident ‘Turn Right’ road sign. We complicate things, simply. And so, in an effort to ‘un-complicate’ life, I decided to dust the attic. Nope, not calling this some ‘healing‘ jazz. That’s too heavy duty for the likes of me. Besides, it’s not change if you constantly keep going back. That’s a rebound! I choose to call this my Chrysalis, because hereon, I’ll never be anything but a butterfly. Yes, I still think Dad went too soon. And I miss him every single day. But I also know he is doing okay, just as I am…………. we are. I’ve accepted this over the years. Today, I am acknowledging this as a testimony. Why? Because he taught me to take the wheel, just as he did to read the signs. And I reckon, it’s about time I take that drive! This is so poignant, so heartfelt that I am not going to spoil it by adding my comments. Beautiful Vini, Very very beautiful. “Just a heartbeat away” – You’ve left a lump in my throat with this absolutely beautiful piece here. Don’t remember reading something as warm and heartfelt as this in a very long time! Yup, that was pretty much how I wrote it too….with a lump in the throat and misty eyes….. I would just spoil the moment by commenting on this. I would say this made me just stop and read over again. I am glad it did, Maithili. I understand how that can be…when one stops for a moment just to look around and take stock of things around and within. I am sure your dad looks at you now and feels utterly proud for being the person that you are. Beautifully written, I can’t think of anything else to say. Just, beautiful. This touched my heart, Vinita! I have lost my mom; it’s been 12 years now. And there are times when I dream of her. I feel her presence when I am in distress. I see her crystal clear. And I’ve made my peace that she is happy and so am I. What more can I say? Hugs, warm tight ones for you! Rachna recently posted…A deadly virus! And because I know that you understand…………warm hugs to you too, Rachna. God Bless. Your words, my thoughts. So beautifully penned. I was my daddy’s girl too. Lost him a decade ago to the dreaded C. After that, life is on auto pilot. It has to be lived but the vacant space remains. Love and Hugs. I am going to read this again. Alka, he lives on…….in you. Keep the flame burning, always. Hugs. blogwatig recently posted…Take My Breath Away! Very endearing and so heartfelt. Makes complete sense why you stopped to take a breather. Makes me also wonder how happy your dad must feel wherever he is about all the lovely ways you are touching everyone’s lives! So beautifully written. It sometimes does take switching off to see things in a different perspective. Hugs. Thanks Shefali. Yes, it does sometimes, doesn’t it? Hi Vineeta… Very moving post.. It unleashed a range of emotions in my heart… All over reminded of the filial dilemma..!! !